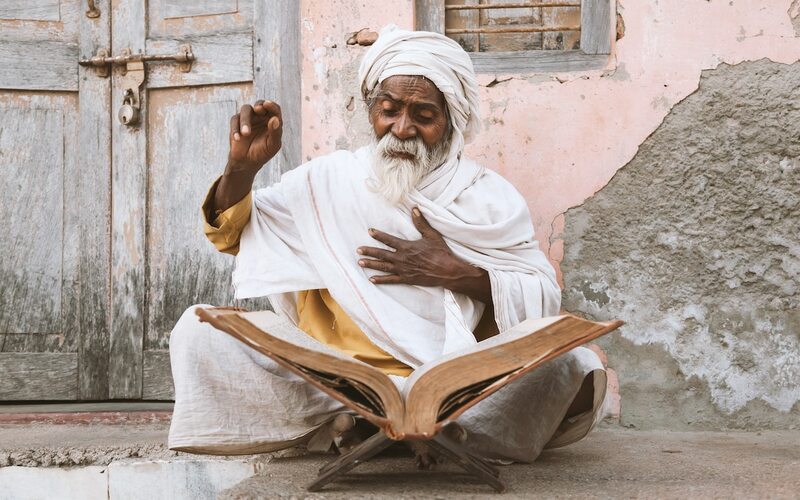 For thousand of centuries, India’s great seers have expounded spiritual wisdom from what is widely believed to be the world’s oldest religion. Despite the fact that the like of Bogar, Trailanga Swami, Paramahansa Yogananda and Amma have taught with their own unique styles and recommended different spiritual paths to follow, each of them has aimed to help their devotees fully understand and act in accordance with a number of foundational truths that are deeply rooted within the Hindu scriptures. By doing so, the great sages have told us, each individual can move closer towards the ultimate goal of Moksha, or liberation, while simultaneously improving themselves as individuals, their relationships with others and most importantly their connection with God. When exploring the iconic Hindu texts and teachings of the immortalized sadhus, it becomes clear to see that two of these most important truths are that of karma and dharma, or action and duty. In fact, because these two terms have been relevant across India’s holy lands since ancient times, the country’s other great religions of Buddhism, Jainism and Sikhism, which were assuredly influenced by Hinduism, have incorporate them into their own theologies, albeit with slightly different meanings. Yet still, it is certain that the roots of these two great spiritual concepts trace back to the Hindu scriptures and it is there we can turn out attention to gain understanding of the laws of karma and dharma. In what assuredly is the most cherished tale of the great Hindu epics, the Bhagavad Gita tells the story of a young warrior prince named Arjuna as he struggles to come to terms with leading the Pandava army into a righteous battle against their deceitful and power hungry neighbors the Kauravas, many of whom are Arjuna’s cousins, friends and past teachers. Just as the Kurukshetra War is about to commence, however, Arjuna’s charioteer Lord Krishna guides the horse drawn chariot in between the two opposing armies and makes time stop. What ensues, and what makes the Bhagavad Gita so beloved, is a lengthy dialogue between Arjuna, who’s still struggling to make sense of his undesirable situation, and the great Hindu God Krishna. While many important spiritual truths are symbolically illuminated throughout the iconic conversation between Arjuna and Krishna, the topics of karma and dharma are assuredly some of the most prevalent. For this reason, we’ll return to the Kurukshetra battlefield throughout this article to immerse ourselves in the supreme wisdom of the Bhagavad Gita, while also calling upon the insights of India’s great sages, all with the hopes of gaining complete understanding of the spiritual concepts of karma and dharma. In the Bhagavad Gita’s iconic conversation between Lord Krishna and Arjuna, we are exposed to a number of other important truths about karma that haven’t been discussed. Throughout the 18 chapters of the cherished text, Krishna systematically lays out the way to free one’s self from the cycle of samsara through the three classical Hindu yoga paths. While the beloved God discusses the importance of knowledge and devotion, or Jnana Yoga and Bhakti Yoga, later in the dialogue, the earliest portions of his sermon focus on Karma Yoga or the path of action. Despite the fact that we have now explored the Hindu concept of karma in great detail, the question of which actions one should undertake still remains. To find this answer, we’ll now shift our focus towards the equally important principle of dharma or righteous duty. Universal Law (Rta): The cosmic law which we briefly touched on above is called Rta and it’s believed that this all-encompassing dharma controls everything in existence from the tiniest sub-atomic particles to the most expansive galaxies. Since Hindus consider themselves to be part of this universal cosmic order, they aim to bring themselves into harmony with it by adhering to their own personal dharma. Social Dharma (Varna Dharma): Where as Rta encompasses everything in the greater universe and beyond, social or varna dharma represents both religious law and the harmonious order of families, communities, cities and nations which is maintained by individuals adhering to and undertaking the correct responsibilities, duties and occupations. India’s caste system, for example, relates directly to varna dharma as it’s believed that accumulated karma determines social class which in turn determines the professional path individuals are supposed to follow. Human Law (Ashrama Dharma): Within Hindu theology there are said to be four distinctive life stages in which the body, mind and soul naturally evolve throughout life. The ashrama dharma system is based upon this belief and offers individuals general guidelines to follow and activities to undertake at different ages of life. The four stages are studentship (age 8 to mid 20s), householder (mid 20s to mid 50s), forest dweller/traveller/pilgrim (mid 50s to mid 70s) and renunciation of worldly pleasures (mid 70s to death). Self-Dharma (Sva-Dharma): The last type of dharma, self or sva-dharma, represents an actionable life path that’s in accordance with an individual’s own unique nature. It is said that sva-dharma is determined by the karma an individual accumulates throughout many lifetimes and consists of their rights, duties and roles that are in harmony with cosmic order. To adhere to one’s own self-dharma, individuals want to fully utilize their unique talents and skills while acting in adherence with their social class and age. Just as the Bhagavad Gita offers deep insights into the spiritual concept of karma, so to does it perfectly illuminate the Hindu principle of dharma. In the earliest passages of the sacred text, we find Arjuna in a deeply conflicted emotional state as he wrestles with the idea of going into battle for a righteous cause against many people he’s grown close to throughout his life. Despite Arjuna’s conflicting feelings, and also his argument that killing so many influential men goes against his dharma because doing so will weaken families and destabilize communicates, Krishna enlightens the young warrior prince with wisdom that relates directly to his dharma.